Numerous are the applications of NiTi shape memory alloys (SMA) in smart designs and structures. 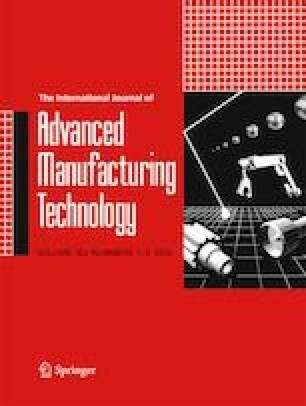 Many researchers and manufacturers investigate laser welding and joining process to integrate the functionalities of NiTi alloys, including superelasticity (SE) and shape memory effect (SME). Accordingly, this integration would provide better flexibility to that class of materials which can be applied in the development of multi-functional systems and components. 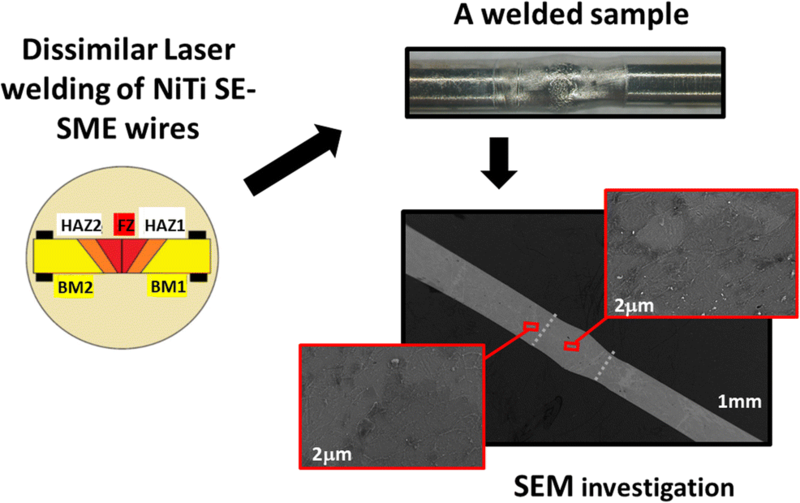 The present study investigates the laser welding of dissimilar NiTi wires, including both SE and SME wires, using a high-power diode laser (HPDL). The resulting welded joints were investigated using various mechanical and microstructural analysis including optical microscopy (OM), scanning electron microscopy (SEM), energy dispersive X-ray spectroscopy (EDS), differential scanning calorimetry (DSC), and tensile and micro-hardness tests. Various operational parameters, that is, laser power and speed, were investigated to obtain high-quality welded joints, preserve the transformation temperature of the welded zone, and, subsequently, minimize the influence of the welding process on the functionality of the joined materials. Laser welding process of NiTi (SE) to NiTi (SME). The authors thank Dr. Elisa Pizzi for her assistance in the DSC test. Also, the authors would like to acknowledge Mr. Riccardo D’Amico and Mr. Attilio Panella for their contributions in the experimental tests.